If you’re looking to upgrade your business’ phone services, switching to VOIP may be the best option for you. In this article, we’ll break down the pros and cons of VOIP. We all take technology for granted. Until it fails us, that is. Then we end up panicking when we realize how much we depend on technology to keep our businesses running smoothly. That includes our phone lines. Without our telephones working correctly, we lose out on a tremendous amount of potential business. It doesn’t reflect well on a businesses brand when customers and clients can’t reach them. But good and reliable technology doesn’t always come cheap. Which is why you should do your research on VOIP advantages and disadvantages before making the switch. We want to help you make an informed decision. Keep reading to learn the pros and cons of VOIP. Before taking a look at the advantages and disadvantages of VOIP, you’ll need to take a look at whether you have the infrastructure required for VOIP. The most important factor in whether or not VOIP will work well is if you have a high-quality internet connection. However, thanks to advancements in technology, most businesses already have a decent connection, but the bandwidth must also be considered. If the quality or bandwidth is lacking, talk to your cable company about upgrading. Do yourself a favor and make sure that you’re using 1000Mbps ports. Upgrade your hubs and switches to ensure that you don’t encounter voice quality problems. Make sure your current phone equipment can handle the switch. If it can’t talk to your VOIP provider to see what options they have. And don’t forget to train your employees properly if you’re considering VOIP switching. There are many advantages to switching to VOIP. Let’s take a look at them. Many business owners are initially turned off by the thought of investing money in VOIP switching. Except, most studies show that no matter how big or small your business is, you’ll actually enjoy significant cost savings by switching to VOIP. For small and mid-sized businesses, the savings can be as much as 45% less. Larger companies should expect even higher savings. Companies who use VOIP enjoy savings on long-distance and international phone calls. And, for those companies who still rely on fax services, VOIP phone systems provide you with separate lines for faxing so you won’t need to purchase or maintain a fax machine. Like most things in life, your business ebbs and flows. When business is slow, it’s important to look towards cutting costs and cutting back on labor. And when things are going well and your business is growing quickly, you need a system that can grow with you. VOIP allows you to grow and scale back exactly how and when you need to without it being complicated. One of the great advantages of a VOIP system is that there are great features for a company of any size to use. Features like voicemail to email, auto attendant, call forwarding, and conference calling are a few of the features that your employees can take advantage of. You’ll find using VOIP can help increase employee productivity. And it’s easy to train them on how to use the new system. It’s easy to install and modify features of your VOIP system. It’s also convenient to use. Whether you’re in the office or traveling, you’ll find your VOIP system works efficiently wherever you are. Training your employees isn’t difficult and it won’t take up a large amount of time, either. Within a few hours, your system can be up and running. It’s just as simple as placing a phone call. You just need to teach them how to use the various features that come along with the VOIP system. Once that’s set up, it should be a smooth transition. If you’re considering VOIP switching, then you need to be aware that there are some downsides to it. Let’s take a look at the disadvantages of VOIP. One serious disadvantage is you may lose sound quality by making the switch. Echos are not unusual which may become problematic while making business calls. The more people who are using the system, the worse the problems with quality and connection get. You also may have to invest in upgrading your computer equipment as it uses the same system. If your PC is slow and you’re using a program, it could affect the quality or capabilities of your phone system. And if your power supply goes down, so does your service. However, you can use a UPS or another device to combat this potential problem. You can also consider installing a backup generator if you live in an area where power outages are higher than normal. VOIP doesn’t support emergency numbers. That means that if you place a call to 911 during an emergency, they cannot trace it to your place of business. If you work in healthcare or in a high-risk business where emergency calls aren’t that uncommon, this may be a concern. However, you can program in 911 and many VOIP developers offer this service on demand. Lastly, the VOIP system may be a security risk for your company as it’s highly susceptible to viruses, worms, and hacking. To ensure the safety of your company and employees, make sure to ask your VOIP provider how they plan to keep your company and phone numbers safe. At Pegasus, we can handle this side of the equation as well. 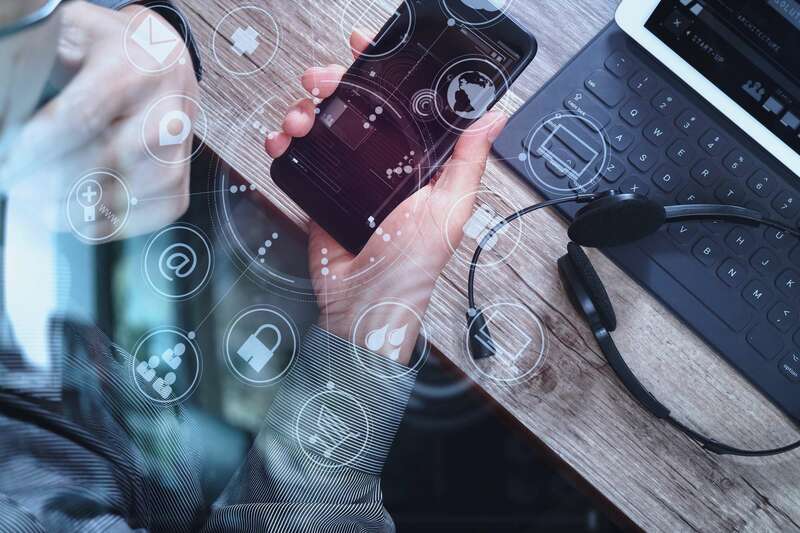 Now that you’ve read the pros and cons of VOIP, we hope you’ve reached a conclusion that best fits your businesses needs. Whether it’s VOIP services or other managed IT solutions, we do it all. Whether you have more questions or are interested in VOIP switching we’re here to help. Click here to connect with us. Pegasus is your VOIP provider for businesses in the eastern PA area.